Habitat 1110 || Sandbanks which are slightly covered by sea water all the time. Sandbanks are irregular raised topographic elements which are permanently covered by water and predominantly surrounded by deep waters. They are ecosystems at the mouths of rivers, generally with some accumulation of continental sediments under the force of tides and the double influence of sea and fresh water. Habitat 1140 || Mudflats and sandflats not covered by sea water at low tide. These sea bottoms are uncovered at low tide and are usually colonised by blue algae and diatoms. They could be deprived of vascular plants or covered in mulching of amphibious formations of Nanozostera noltii. Habitat 1150 || Coastal lagoons. Coastal or sublittoral lagoons, lakes and ponds with variable water salinity and volume, with or without aquatic vegetation. Pioneer vegetation communities inherent of saltmarsh comprise this habitat, which are usually temporarily flooded and dominated by annual herbaceous plants of various types. These formations, virtually monospecific, are mainly comprised by grass of the Spartina genus which covers the intertidal area between the coastal marshes of estuaries and calm water bays with a certain sedimentary fill. Habitat 1330 || Atlantic salt meadows (Glauco-Puccinellietalia maritimae). These are dense halophile prairies which grow in the marshes of the river mouths of the Cantabrian-Atlantic coasts. These are scrub formations and perennial succulent plants typical of damp salt coastal or interior soils. 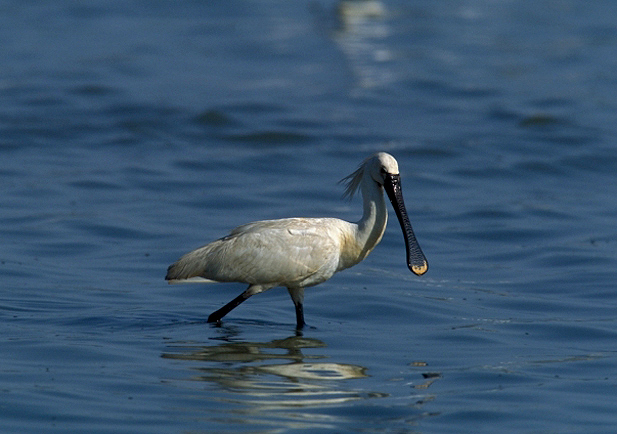 The common spoonbill (Platalea leucorodia). 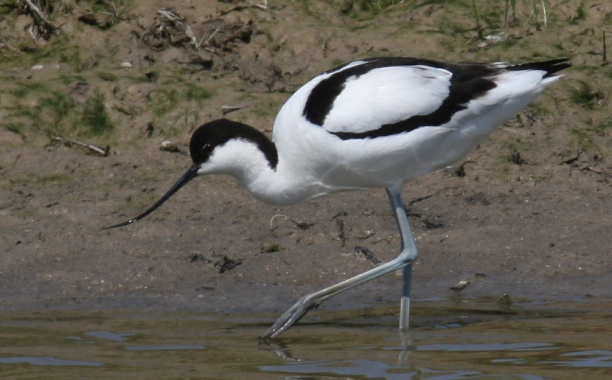 This bird is well preserved in the water spaces of the Natura 2000 network in Cantabria, although its preservation status is at risk due to human pressures (e.g. non-native species, fills, water contamination). 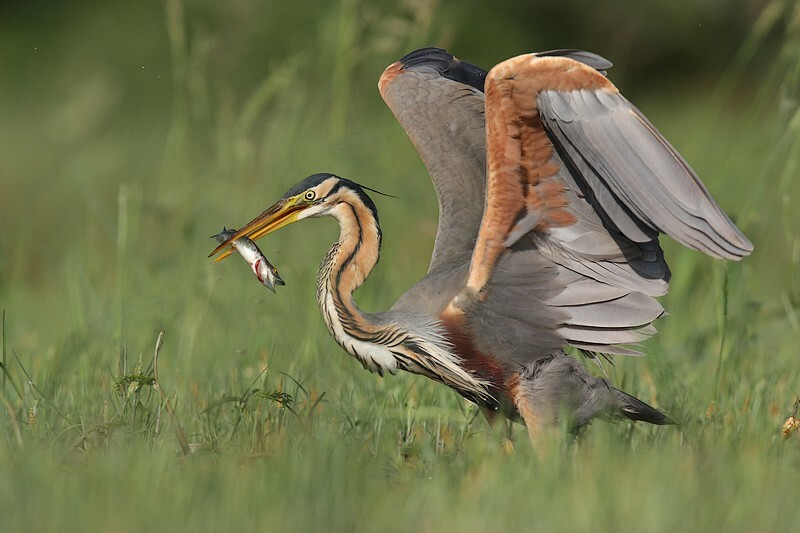 This bird species is well preserved in the water spaces of the Natura 2000 network in Cantabria, although its preservation status is at risk due to the existing human pressures. The preservation status of this bird species is unknown in the Natura 2000 network in Cantabria. 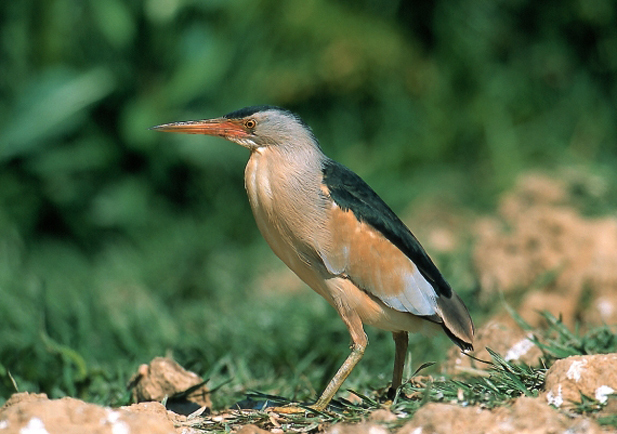 The lack of detailed information on the distribution, structure and composition of little bittern communities establish their status of preservation in the Natura 2000 network of Cantabria to be unknown.